It looks like society is going back to folding and unfolding its phones, which is pretty hilarious to think about. Following Royole's debut of the foldable smartphone FlexPai, Samsung has debuted its own special tech for an upcoming folding phone. The tech giant had been teasing a smartphone for some time, but today we finally got our first peek at it. 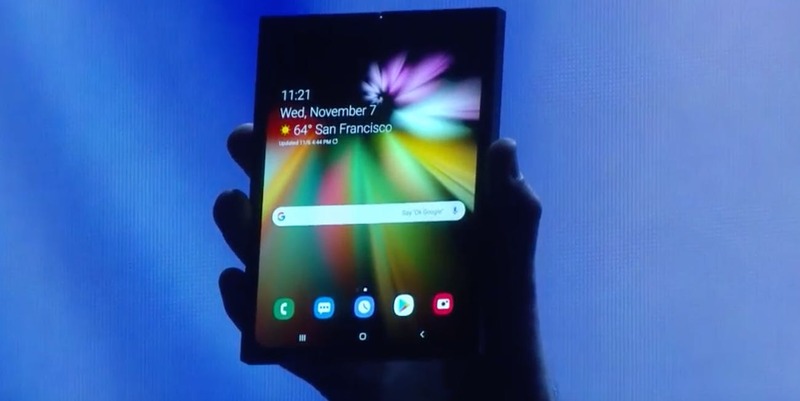 Samsung's calling its new foldable phone prototype the Infinity Flex Display, and the smartphone manufacturer showed it off today during its developer conference, which you can see all of below. The device that was on display folded out into what looked like a full-sized miniature tablet, and folded back in to really drive home the point of the revolutionary tech we were seeing. The cover display is a phone, and the tablet is a 7.3-inch tablet display. 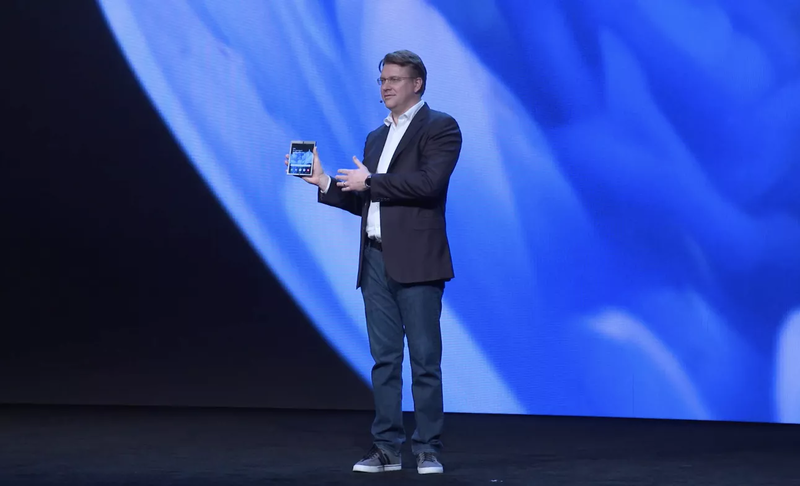 According to Samsung, you can run three apps simultaneously on the prototype phone, and the units are going to start going into mass production in just a few months, to hear Samsung's Justin Denison, SVP of mobile marketing, tell it. Unfortunately, we don't have a real timeframe for when we'll actually be able to get our hands on something other than a prototype or concept device, as intriguing as the folding phone looks from afar. Samsung has stated that it's aiming to get the device out sometime in 2019, but we'll see if that actually comes to fruition. Something like this certainly seems as though it needs quite a bit of time in the oven. I'm impressed that Samsung was able to figure this out. We'll see if it's really ready for the consumer market. The adhesive bit is really important. Only time well tell if they've solved it effectively.